Micron has announced its first PCIe-based solid state flash drives, the 2.5-inch Micron P320h SSD. The company uses its own hardware controller for the drive, and features a combo connector that will allow users to hook it up to both SAS and SATA devices. Dell has already adopted the new technology, and will be launching its 12G PowerEdge servers with Micron P320h SSDs onboard. The SSDs are hot-swappable, and can be accessed from the front of the server, enabling easy replacement, addition and removal. 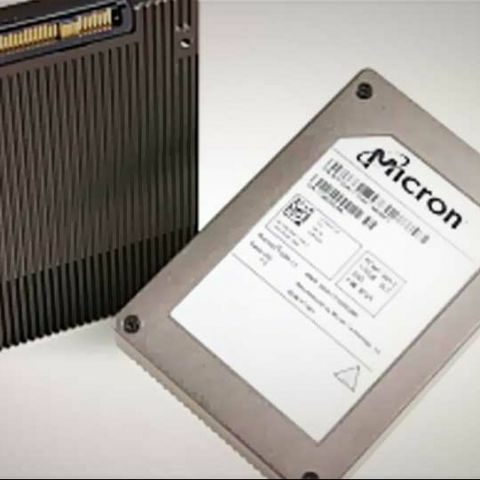 According to Micron, the P320h SSD works on a PCIe X8 interface, which will be available in 350GB and 750GB capacities, and, half-height, half-length (HHHL) form factor. As for data transfer speeds, the 350GB model is capable of 715K random read and 298K random write IOPs, and will feature 3.3GB/sec sequential read bandwidth and a 2GB/sec sequential write bandwidth. Dell, along with Micron, has also set up a SSD Form Factor Working Group, to encourage other server and SSD manufacturers to adopt the HHHL form factor, with its hot-swappable, and front-loading benefits.